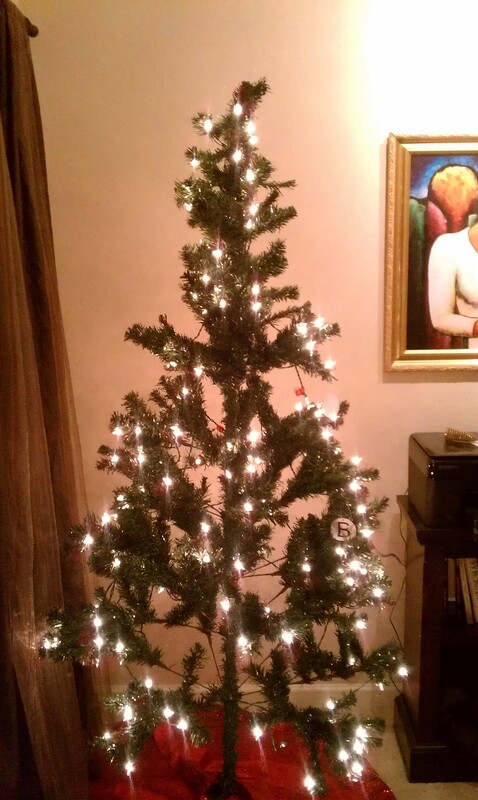 In my entire adult life I have never put up a Christmas tree. My reason initially was because I was never home for Christmas. No matter where I lived, I always went home and I didn’t really see the point. That’s not to say I wouldn’t decorate, I owned a wreath and got into the habit of buying a Poinsettia plant every year, I guess that was my tree LOL. Well, this year, we’re not traveling for Christmas and I still won’t be home, we do Christmas at my Mom’s house, but I decided I wanted to get a tree. So last Sunday, I was doing some mad shopping, my 4 square almost combusted because I was all over the place, the Hubs birthday was the next day and I was trying to do some Christmas shopping too. Anyhoo, I decided to wander in the Christmas Tree shop to check out what they had and wouldn’t you know they had just the tree I was looking for, or so I thought. A deal right, I mean, it was pre-lit and came with the decorations, I thought it was a deal. 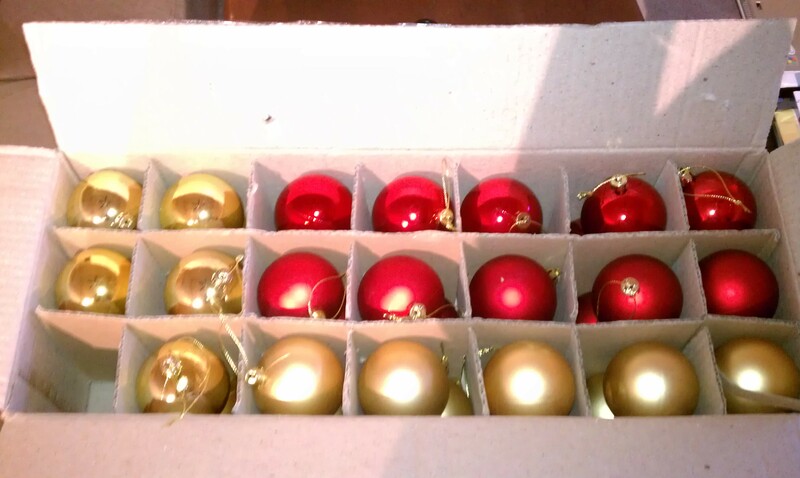 Well, upon unpacking, I realized I was missing some ornaments, although the box was taped up. 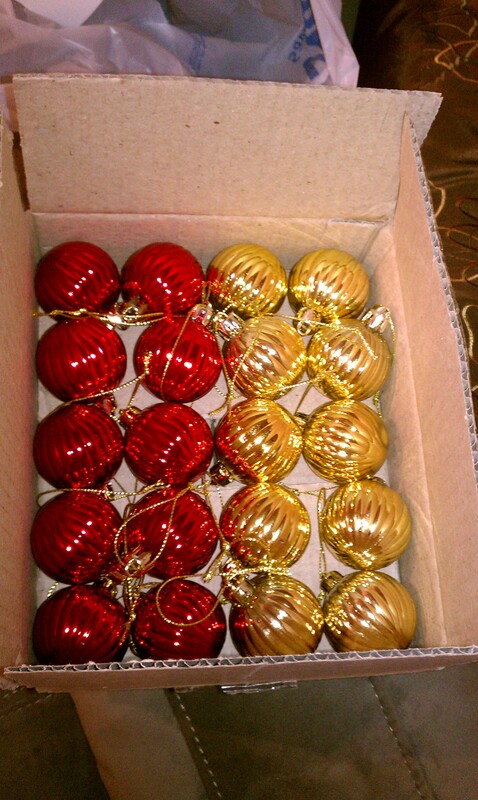 2 ornaments didn't make the drop! I figured I could just work with what I had right, so I started putting it up. Well, boy was I wrong, take a look……. 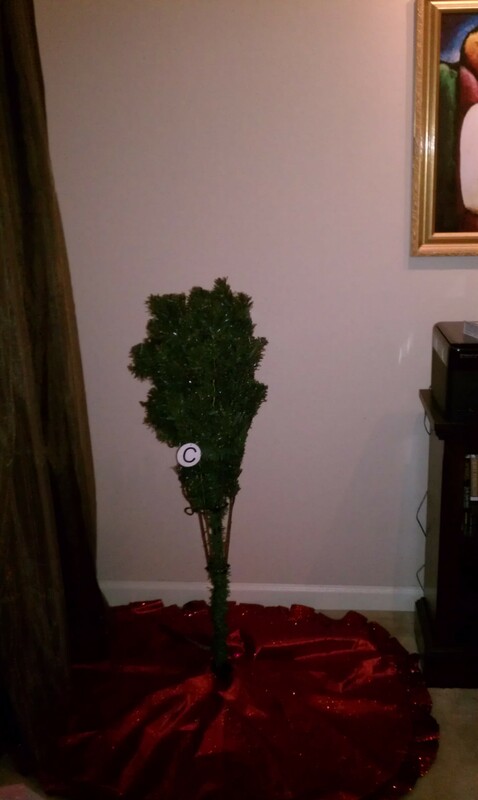 Charlie Brown AZZ Christmas tree! Yes, I’m mad as HELL! WTH? This is not the picture that’s on the box (see 1st pic)! I refuse to decorate it! I even went back to the store, because I remembered looking at the display tree before buying it, but of course they’re sold out now! I showed the lady that sold it to me the pic and she was like it’s missing something – DUH, you think? I honestly put every piece up, it was only 3 – A, B, C, so the filling, not sure what it was, but it for damn sure was not in that box! I just told the lady I would be returning it! 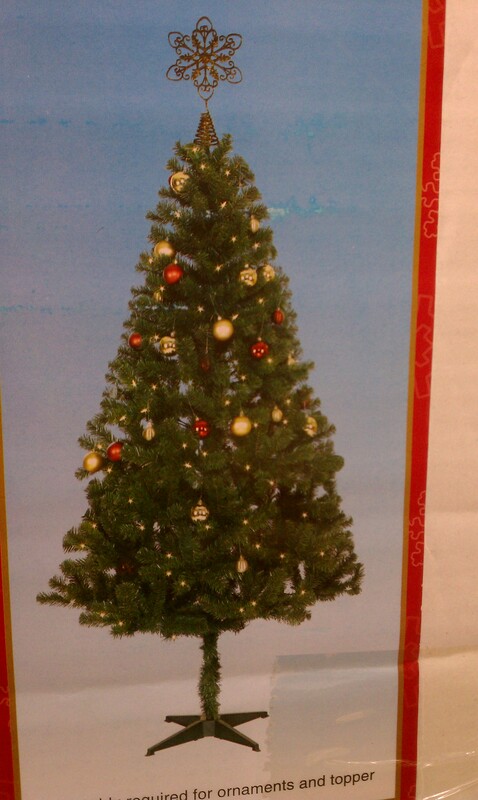 Perhaps I need to keep with the theme and not deal with a Christmas tree, because I never!!!!! 8 Responses to Oh Christmas Tree….. I hollered!!!! That happened to me with my first tree as an adult. I took it right back to the store. And I didn’t repack it all. Just enough to get it in the car. My husband doesn’t think I should return it, but it looks a hot mess! I am still livid! Ooo! That picture was clearly of three of those trees taped together!